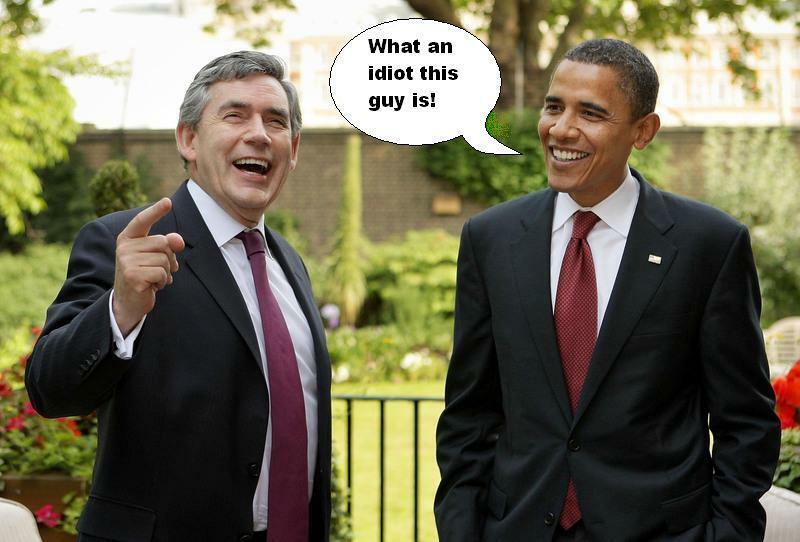 Today Gordon Brown flew to the US for his first meeting with President Barack Obama. As Brown arrived in America a cold wind blew, and the US capitol was engulfed in blizzard conditions and temperatures dropped to -14ºC. It seems that devastation walks hand in hand with our PM, first floods, then pestilence and now the greatest snowfall in 20 years, the global warming message is really hitting home at the moment. To top it all the stock market plunged 200 points in a day, the Dow is now down below 7,000. This photo opportunity/serious meeting between the two great “spend now, worry later” leaders of the world is exactly what No 10 wanted. Congratulations must go to Brown for being the first European leader to meet Obama since his inauguration. I was certain that Sarkozy would be the first, but hay ho, I guess Brown must have sounded more desperate on the telephone. Writing in the Sunday Times yesterday Brown said he would discuss a “global new deal” with President Obama “whose impact can stretch from the villages of Africa to reforming the financial institutions of London and New York”. Not one for modesty is he? 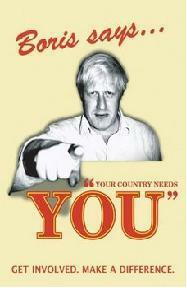 Never mind the rest of the world Mr Brown, what about British citizens who you are suppose to represent, what about us? You have failed us all by allowing Britain to become one of the worst placed countries to weather the economic storm you were largely responsible for due to your mismanagement at the treasury. I for one would be outraged if Brown got anywhere near global financial institutions; it’s akin to putting Mugabe in charge of the world food organisation. It just goes to show that when he said that he had “saved the world” he actually meant it! For the love of god I hope Obama does not take him seriously. You are currently browsing the Leicester University Conservative Future blog archives for the day Monday, March 2nd, 2009.